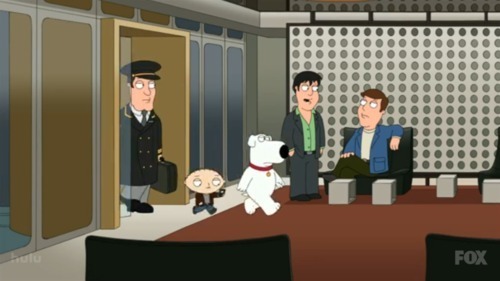 One of the highlights of Sunday nights, besides alphabetizing your closet by designer, is watching Family Guy featuring Stewie & Brian Griffin. On last night’s episode, the duo come to New York City on Brian’s book tour, and where do you think they stayed? The Standard, New York, bien sur! Watch the full episode here, but if you don’t have the patience to wait for The Standard to make her television debut, skip to the 7:55 mark to watch them check in.